Fairfax House is proud to stock a range of products made here on our own doorstep in Yorkshire. 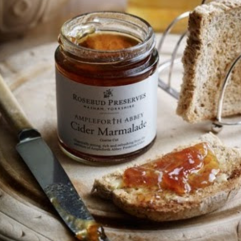 Tucked away in a picturesque small village on the side of a valley above Masham, Rosebud Preserves are dedicated to making the very best preserves using local, seasonal, and organic (where possible) produce free from any additives or artificial ingredients. What started as a hobby evolved in 1989 into a small family business, which has today developed into one of the most widely respected preserve makers in the county. With a wide range of produce on offer, from their Old Yorkshire Chutney to their hot and spicy Hot Mango Chutney, from their award-winning Gooseberry and Elderflower Jam to their traditional Damson Jam, there’s something to tempt and delight every taste-bud. A London Dry Gin from God’s Own County! Masons use Harrogate spring water along with juniper, a proportion of which is from their own bushes, and a combination of secret botanicals including citrus. 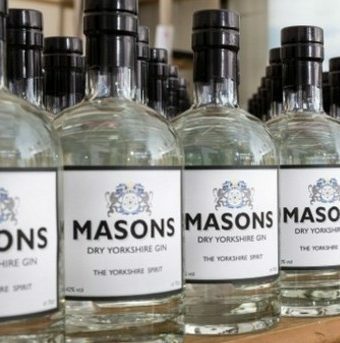 To create a taste that wasn’t just run of the mill, off the shelf gin, recipe after recipe was rejected in their search for a gin they felt proud to call Masons Yorkshire Gin. Distilled in 200 litre batches using the London Dry Gin method in a traditional small copper alembic still, Masons Yorkshire Gin is truly a small batch craft gin. Each bottle bears its own hand written batch and bottle number. Fikkerts products are instantly recognisable by their exquisite packaging, imaginative design and attention to detail. They source the very best natural ingredients from all over the world, and formulate the finished products right here in Yorkshire. Their Fruits of Nature combines both the wisdom of traditional herbalists and the knowledge of modern aromatherapy to create products which have genuine skin care benefits. The Kitchen Garden range is made from natural plant and herb extracts, carefully chosen to ease aches and pains and make all your hard-work worthwhile at the end of a busy day. 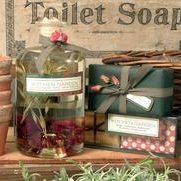 Gently cleansing soaps and hand washes contain natural anti-bacterial and antiseptic ingredients to keep garden germs at bay. Deeply moisturising creams and lotions replenish and rejuvenate the skin … perfect presents, not just for gardeners. For more than 200 years the Benedictine monks of Ampleforth Abbey have been growing apples in the Abbey Orchards.. Primarily this was to feed the community and the school, but as the years went by and the trees developed the supply of apples started to overtake the demand. Not to be wasteful, the monks tried their hand at cider production, which was a great way to increase the lifespan of the fruit. It turned out the monks weren’t that bad at making proper North Yorkshire Cider, so they decided to offer it to the public in order to generate revenue for the community. Sitting on the foothills of the North Yorkshire Moors, Ampleforth Abbey Orchards boasts over 40 different varieties of heritage apples, populating over 2,000 trees which span over seven acres. 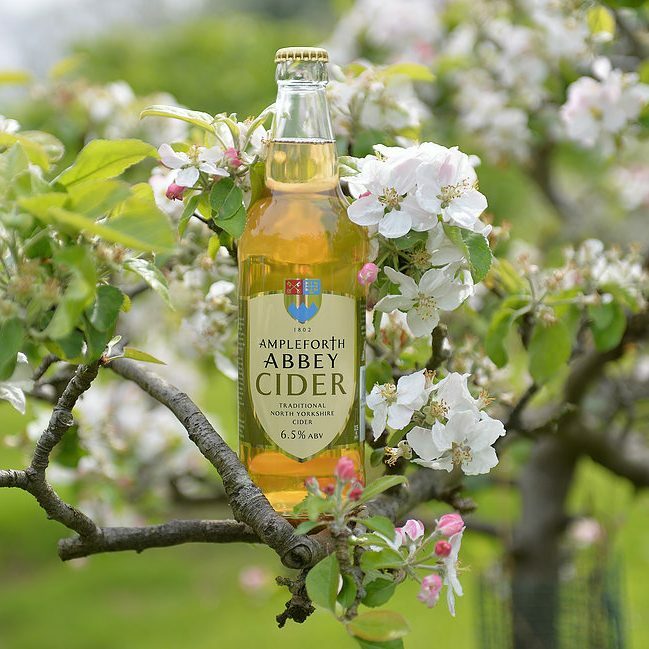 Their award-winning artisan range of ciders and apple products are produced onsite in their cider mill which is nestled within the Ampleforth Abbey Orchards. Local layman Tim Saxby heads the operation along with George, Steve and Wayne; amongst the team there are years of experience in the production of hand crafted cider. Over the generations, Farrah’s has become famous for Original Harrogate Toffee. Established in 1840, it is now recognised the world over and offer far more than just Toffee. 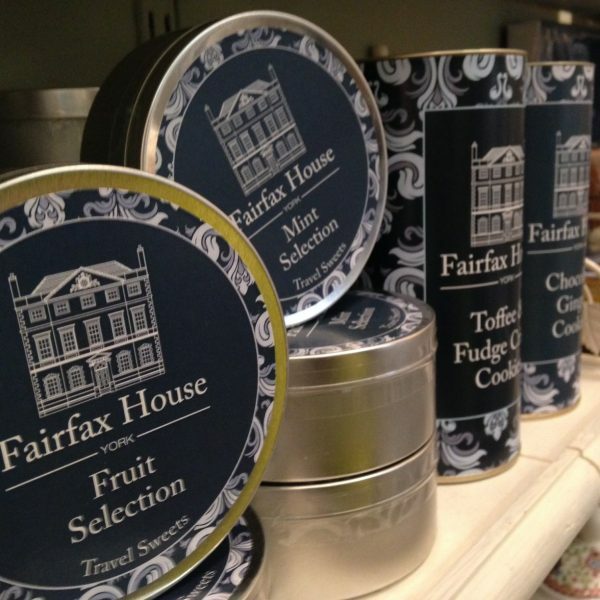 Creating branded products specially for Fairfax House, Farrar’s range includes toffees (of course) biscuits, chocolates and many other seat treats.